It's no secret that I'm a "cili padi" since young. In case you didn't know, it basically means a small-sized person with a "spicy" or fierce personality. This Malaysian idiom is modelled after the tiny bird's eye chilli which is small in size, but packs a punch! And what better way to enjoy this ingredient than in hot and spicy Thai food? I adore Thai food so much, it's my second favourite cuisine after Japanese food XD These few years of studying in KL, I have found the perfect place to have my Thai food cravings fixed and it's Absolute Thai or Thai Thai branches all over KL. It's also one of the frequent hangout places for my equally spicy-food-loving friends as we like to go there for a good meal to treat ourselves after exams or assignments submission. So, I was super excited when Wei Wei from Seacuisine invited me to try out Absolute Thai's new concept in KSL City Mall, JB. Yes, I didn't know they have a few branches in JB too! 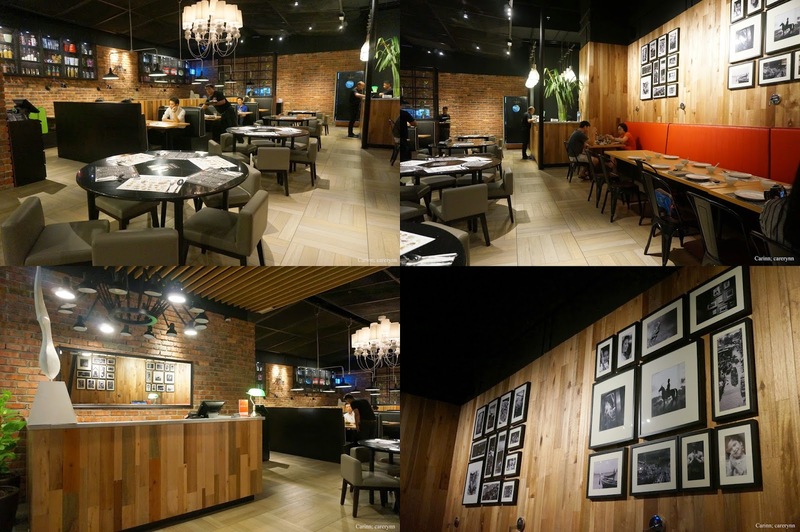 Absolute Thai has 14 branches spanning across the Klang Valley and Johor. The three branches in Johor are situated at KSL City Mall, Mall of Medini and Johor Premium Outlets. They offer authentic and reasonably priced Thai food, made with love and served in a chic and cosy environment. I had a question that's been nagging on my mind for a while so I decided to ask Wei Wei that night: What is the difference between Absolute Thai and Thai Thai? Apparently, Absolute Thai's concept is more of fast-dining and ala carte meals which Thai Thai is more towards family style dining. However, the food served is more or less the same and all their chefs originate from Thailand! There is also an Absolute Thai Hotpot branch in Bangsar, can't wait to go back to try it! It's an even more appropriate place for gatherings. 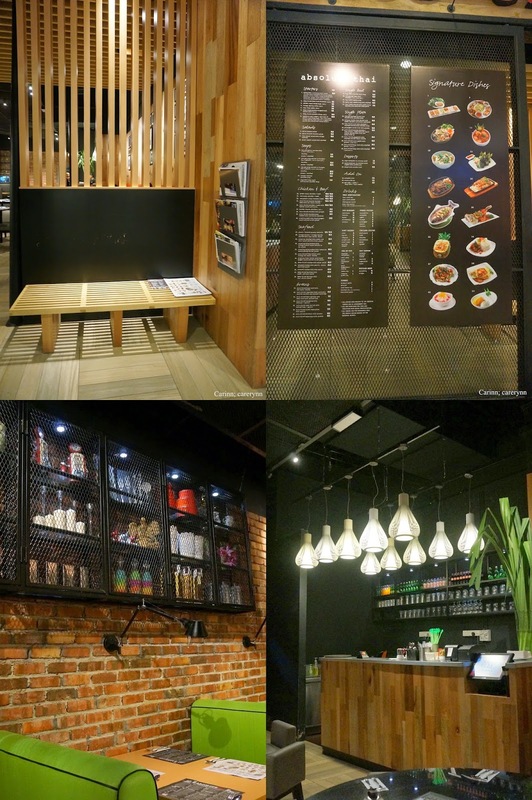 Fun fact: Did you know, each Absolute Thai branch has a different interior design to give more variation? However, the main theme is still centered around an old, rustic feel that gives off a very comfortable and at-home feel. Soft lighting, black chairs, wooden counters & brick walls really portrays a vintage and cosy atmosphere. What's more, they have portraits depicting the lives of people in Thailand to really preserve that culture. Ample seating spaces in a spacious restaurant, and they even have a waiting area for when there is a long queue! Tip: All the recommended dishes are on the white page! Each branch has a recommended dish that is unique to them so make sure you check with the waiter for the dish! You can view Absolute Thai menu for each branch here. Btw, they do offer 15% discount for room guests at KSL Hotel and for all CIMB card holders, you'll enjoy 15% off your total bill. How awesome is that? There are also promotion sets for you to enjoy in a big group, at a reasonable price. Some images courtesy of A Walk With Aud. 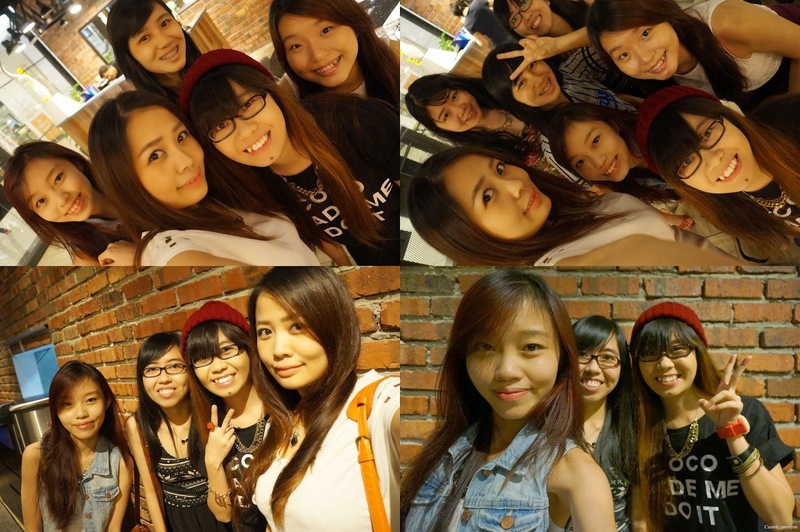 With Aud, Edlyn, Eunice, Sherlyn, Cece and Sin Yee! A mixture of orange, apple, pineapple and grenadine syrup was used to make this yummy fruit punch. I really enjoyed this drink as it's really refreshing especially after eating all the spicy food! It's slightly pricey, but I really enjoyed it. Not a fan of coffee, but I did try one sip of this. It's surprisingly not bitter unlike most coffee! Very milky and sweet because of the condensed milk. I hardly order drinks at restaurants but I actually had 2 glasses of this because it's so tasty! Taste the authentic Thai taste with this sweet and aromatic tea, with a subtle smell of tea leaves. And isn't the colour just so pretty? The Thai Iced Tea is made with this number one brand of tea mix imported from Thailand. Authentic, much? Not my favourite drink as I'm not a fan of lemongrass, plus it tasted artificially sweet.. I think it is boiled with pandan leaves though, cos there is a stronger pandan than serai smell. This is a very good starter as it's tender and juicy as you can taste the fish, herbs and spices blended together. Fret not, there's no fishy smell and be warned because it's really spicy, even to me! This dish reminds me of otak-otak. This dish is best served with sweet Thai chilli sauce and crunchy cucumber! Another recommended dish on the menu. I was quite bewildered as to what's that big chunk, and was mind-blown to find that it's actually catfish! Wei Wei taught us the proper way to enjoy this dish is to crush up the catfish and eat it with the mango strips. It's a very interesting dish as you have the burst of sweetness and sourness from the mango mixed with some sweet raisins, crunchy nuts and not forgetting the crispy salty cat fish, all in one mouthful! Only the freshest mangoes are used. Absolute Thai is famous for their tom yam soup served in a boiling firepot so that it is warm throughout the meal. Packed full of goodness such as fish meat, prawn, squid and mushrooms. 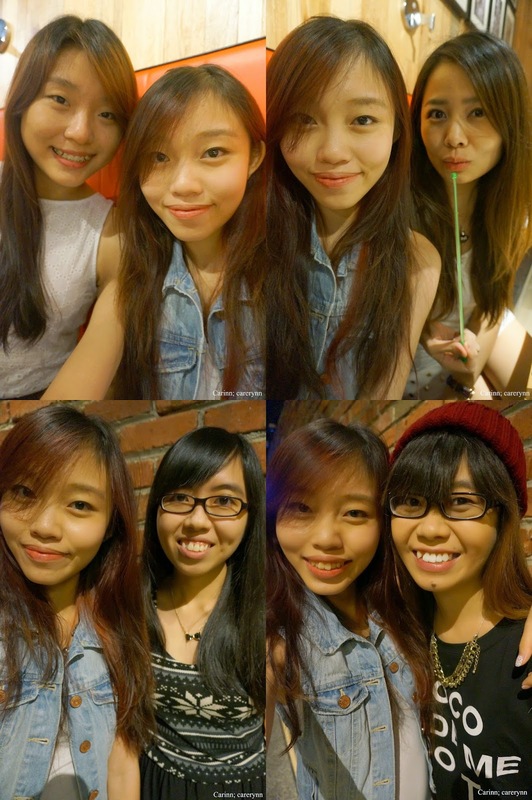 Too many drinking tom yam photos? I think so too..
A must-order dish whenever I visit Absolute Thai. Green curry isn't actually very spicy and I quite enjoy the chunks of tender, boneless chicken meat, cooked in sweet and creamy coconut milk. There is also a green curry beef version. Watch out for the hidden bits of brinjal and long beans in the dish. Highly recommended dish! It's even tastier when you eat the gravy with rice. The tamarind sauce gives the dish a sweet and tangy flavour. Only the freshest prawns are used and isn't the prawn huge? If I'm not mistaken, this dish is normally served on a hot plate. This is surprisingly spicy, but only mildly. The tofu is soft on the inside, and slightly crispy on the outside. The sweet, sour and spicy sauce is also cooked with ground peanuts for that extra crunch. This was a favourite among the girls as the flavourful and slightly sweet rice is fried to perfection. The sweetness comes from the pineapple and raisin bits. To top it off, there is also cashew nuts, onion and gigantic prawn to go with the dish! For people who can't take spicy food, this dish is perfect for you! This traditional Thai dessert is a must-try whenever I visit any Thai restaurant! The freshness and sweetness of the cold mango slices goes perfectly well with the sweet, sticky rice topped with coconut cream. We couldn't get enough of it! If you haven't already noticed, coconut milk is a vital ingredient in Thai cooking. It can be used in the appetizers, mains to the dessert! This refreshing dessert is like the Thai version of ais kacang with its shaved ice and little chewy red rubies and sago in it. A cold dessert is the perfect way to end the meal! 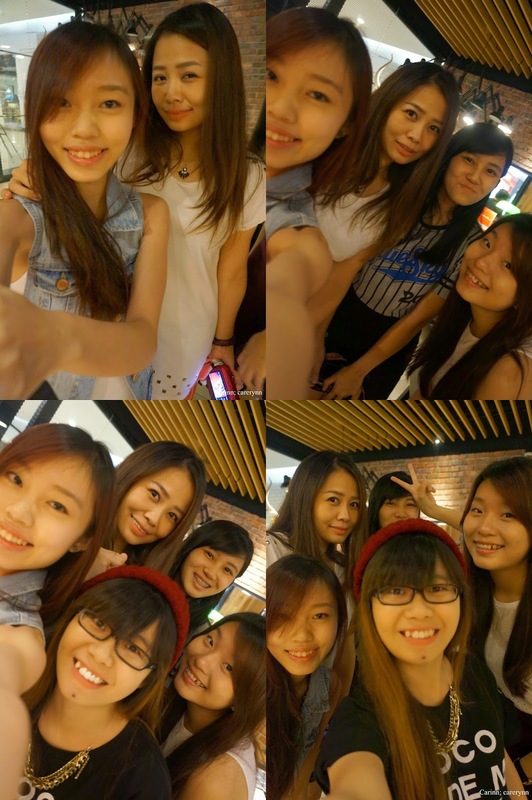 Thank you girls for your company that night. 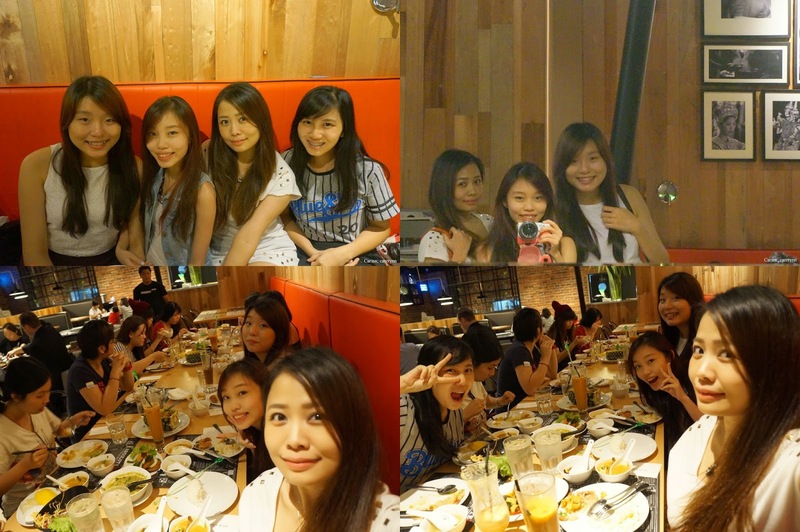 We had so much fun and laughter while enjoying yummy food. It's definitely one of the highlights of my break this time! I may be biased when I say this but I truly recommend Absolute Thai for your dose of Thai food. The service, deco and of course the food is something to look forward to if you want the ultimate Thai food experience. You might think the food is a little too costly but given that only the best ingredients are used, it's worth it. Plus, it's actually not that expensive after you divide the cost among friends :p Um, just wanna say that when I say that the food is spicy, it means that it's normal spicy level for me so just be sure you drink enough water to combat the spiciness haha. I tried so many dishes that I've never tried before that night, so going back to recommend this to my friends the next time we dine at Absolute Thai! For more information, log on to Absolute Thai's website and Facebook page. BONUS: For another 5 days, Groupon is having an Absolute Thai promotion of up to 40% off! Now you can enjoy this yummy thai food at an even more affordable price! Get the link HERE. What are you waiting for? Grab it before it's all sold out! I wish I were there too!! !